Private Stock Shilohs and Ridgewood Shilohs are extremely excited to announce the upcoming breeding of Mercy & Ca$h. Mercy is an extremely loving, sweet tempered girl. She is easily trained and always eager to please. She is our “huggie bear, “always wanting to be touched or massaged. Mercy has a gorgeous grey sable plush coat, good bone and height, broad chest and almond eyes that make you melt with just one look. She attracts attention wherever she goes! She loves other dogs and cats; all she wants to do is play. Mercy has proven to be wonderful in the show ring too and is a Breed and Club Champion. As a puppy in the ring she showed her spirit, obtaining her puppy and Jr puppy championship in 1 weekend. She has passed all of her health testing. Her first litter of 4 produced the most amazing pups of a variety of colors and temperaments to die for. 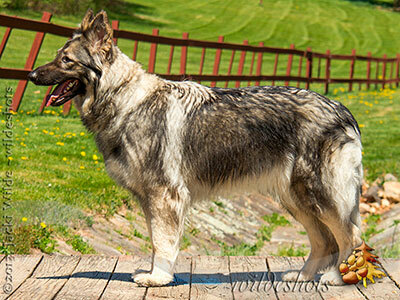 We believe, with her great temperament and loving ways, she will pass these traits on to her pups! Ca$h is the son of the beautiful Haley of Ridgewood Shiloh's and the handsome Sage of Beloved Shiloh's. He embodies the best of both his parents... 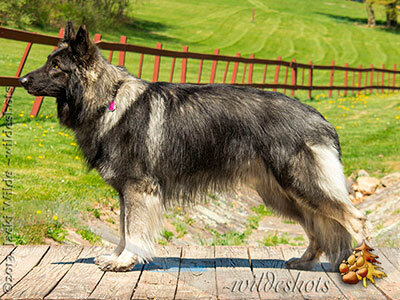 He has a gorgeous plush dark grey sable coat, nice head and ears, combine that with his beautiful dark face and the most amazing amber colored eyes...he is stunning! He has nice size standing 29 inches tall with good bone. Ca$h has passed his Hips/Elbows/Heart by cardiologist/CERF and DNA tests... He earned his Breed and International championships in just 4 show weekends... He has also earned his Canine Good Citizen Certificate, Herding Instinct Certificate, Therapy Dog International Certification & ISSDC Temperament Test. Ca$h has a temperament to die for, he is confident and comfortable where ever he goes, whether it’s the polo matches, the farmers market, a five mile hike with his pack or the local outdoor mall with people surrounding him, he takes it all in stride. Ca$h is an "amazing" representation of the Shiloh breed. We believe that Mercy & Ca$h will complement each other and produce an awesome litter of pups with great bone and size, beautiful sable coats, and loving temperaments. These pups will be easily adaptable, trained and be the perfect addition to any family. 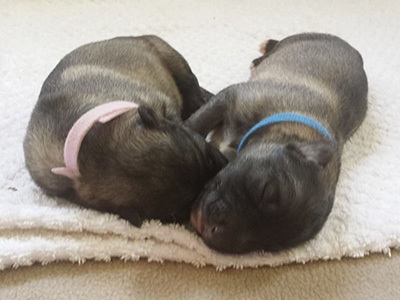 These pups will be successful in any venue their new owners may plan for their future.